Over this summer I’ve thought about the places I’ve been and there’s one city that keeps coming up. Have you ever felt at home somewhere even if it’s not your real home? I feel this way every time I am in Venice. During the three days it’s taken to proof this pizza dough I tried to pinpoint a reason for my attraction to Venice. All I could come up with is that it’s surrounded by water, has good food, everything’s old and the city has a distinct smell. The smell isn’t appreciated by everyone but I like it. Maybe I like Venice because time stands still there. Remember that it takes 3 days for the dough to proof. Did I mention that already? i.e. Start on a Friday if you want to eat pizza on a Sunday. Use a little less salt than the recommended 3 tablespoons. Two tablespoons is enough. 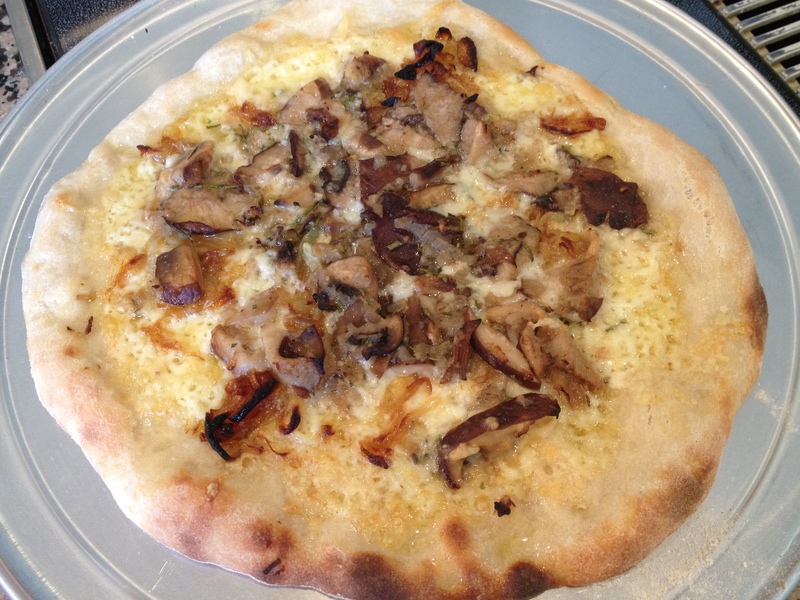 Taste the raw dough before seasoning any of the toppings with salt. Doppio Zero (double zero) flour is a must. It’s a very fine version of flour and is used for Italian doughs and pastas. I found Doppio Zero flour at Doris Italian Market and Bakery in Pembroke Pines. I felt at home here, too. Doris’ produce is much less expensive than the variety you find at major supermarket chains. For example, Fresh Basil or Oregano for $1.29 vs. $3.99 a package at other markets. Visit Doris’ Market if you can and wander the aisles even if it’s just to see how many varieties of pasta and tomato sauce are in existence. Below are the styles/toppings you can try. They are perfect enough for this perfect dough. PS-Napoletana pizzas have nothing to do with Venice…because they are named after the place where they originated–Napoli. But this doesn’t change the way I feel about Venice. Spread ½ cup Perfect Pizza Sauce onto the dough and top with ¼ lb sliced fresh mozzarella cheese, a drizzle of extra-virgin olive oil and a light grating of Parmigiano-Reggiano cheese. Bake the Pizza at 500 for 6-8 minutes. 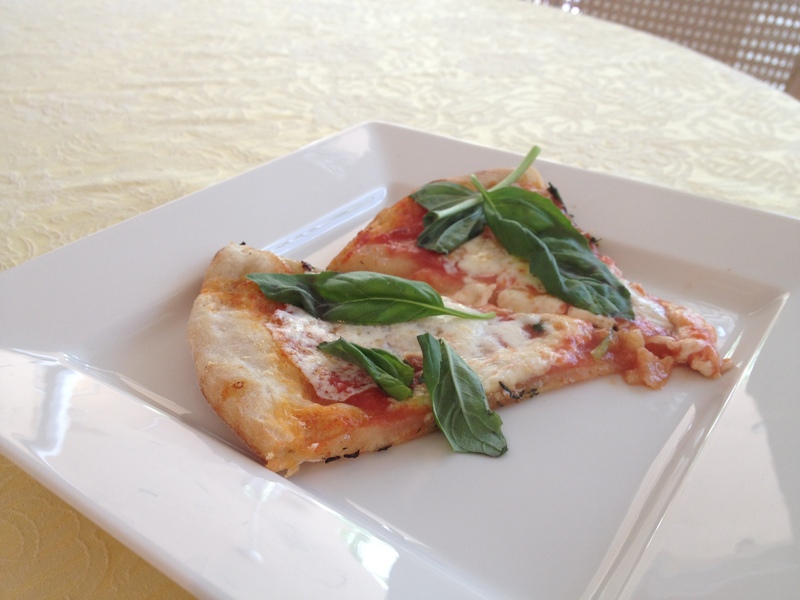 (8 minutes for a more crispy crust) Remove from oven and top with about 10 basil leaves. Pass one 28 oz can whole San Marzano tomatoes through a food mill. Blend the puree with 1 tablespoon extra-virgin olive oil and season with salt. Grade Parmigiano-Reggiano over the dough and top with ¾ cup shredded Fontina, 2 ounces thinly sliced summer squash (about ½ small squash), 1 teaspoon chopped rosemary and 1 or 2 chopped Calabrian red chiles (I omitted the chiles). 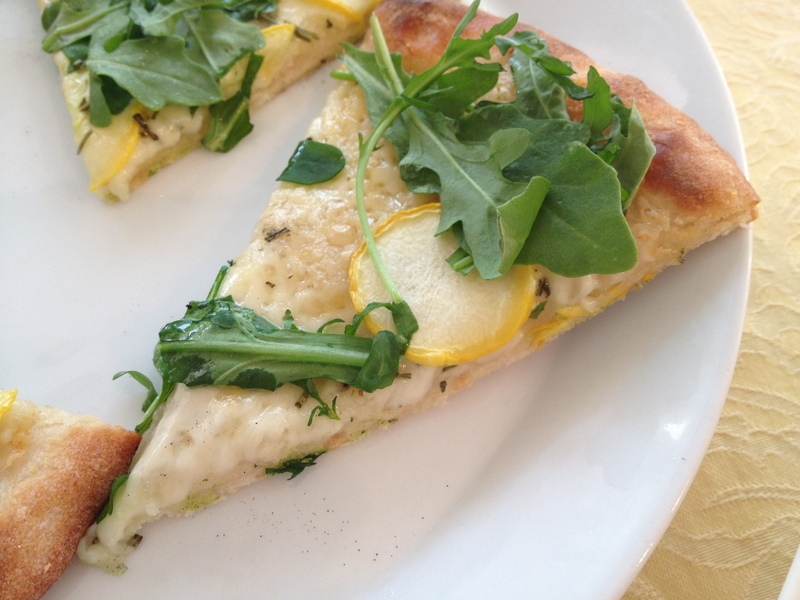 After baking at 500 F for 6-8 minutes, top with ½ arugula leaves. 2 Hard-Boiled Eggs, dropped into ice water immediately after boiling. Wait 15 minutes, peel and slice. Spread the Perfect Pizza Sauce (see above) on the pizza, then top with mozzarella, ham, (I omitted the ham to make this vegetarian), egg slices, onions, peas, black olives and oregano. Melt 1 tablespoon butter with 1 teaspoon olive oil in heavy skillet over medium heat. Add onions and sauté until golden, about 20 minutes. Season with salt and pepper. Melt remaining 2 tablespoons butter with ½ teaspoon olive oil in another heavy skillet over medium-high heat. Add mushrooms, garlic, and shallot. Sauté 4 minutes. Add wine and simmer until almost all liquid is absorbed, stirring frequently, about 11 minutes. Add rosemary; season with salt and pepper. When ready to bake the pizza, lightly brush the dough with garlic oil or olive oil. Sprinkle with 1/2 cup Fontina cheese. Scatter 2 1/2 tablespoons onions over the cheese. Scatter 1/2 cup mushrooms over the onions. Sprinkle with salt. Bake at 500 F for 7-8 minutes. Recipe by Food and Wine Magazine, Photo by Priscillakittycat. My mom called this a 24 hour cake after she tasted a bite. “It won’t last 24 hours in this house!” It would be nice to find at least some crumbs tomorrow morning to accompany a cup of tea but it doesn’t seem likely. 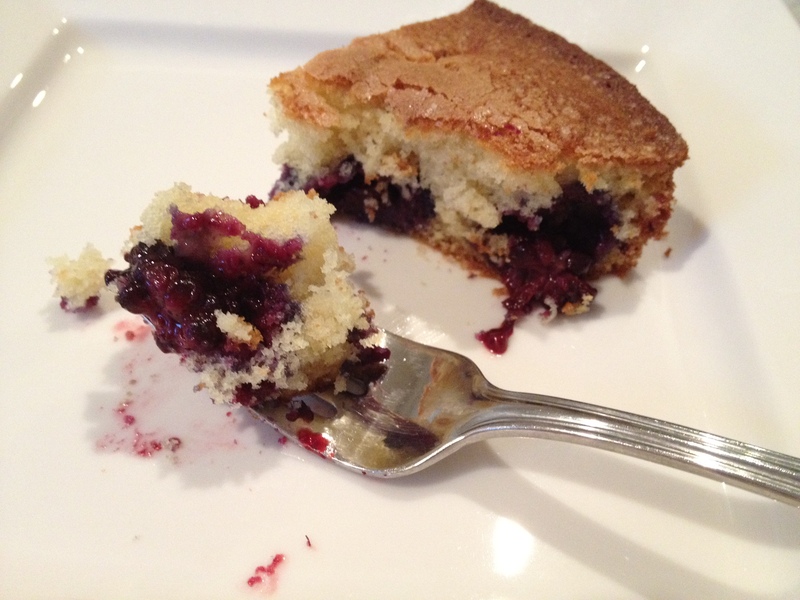 The cake tastes like something from a gourmet bakery but it’s easy enough for a novice cook to prepare. The prep time is only 20 minutes. PS – when you buy the buttermilk and open the container, don’t be misled into thinking it’s spoiled when it pours out like watery yogurt and tastes a little sour. It’s supposed to be that way. Recipe by Everyday with Rachel Ray, Photo by PriscillaKittyCat. Baptist South Miami Hospital’s Outpatient area waiting room has some good magazines. They also offer free coffee, tea, shortbread cookies and warm blankets–for patients and family members. I waited in a cozy corner, wrapped in a warm blanket…and copied this recipe from EveryDay with Rachel Ray. The Almond Mayonnaise that accompanies the wraps is a healthy alternative to regular mayonnaise and it actually tastes better than mayo. 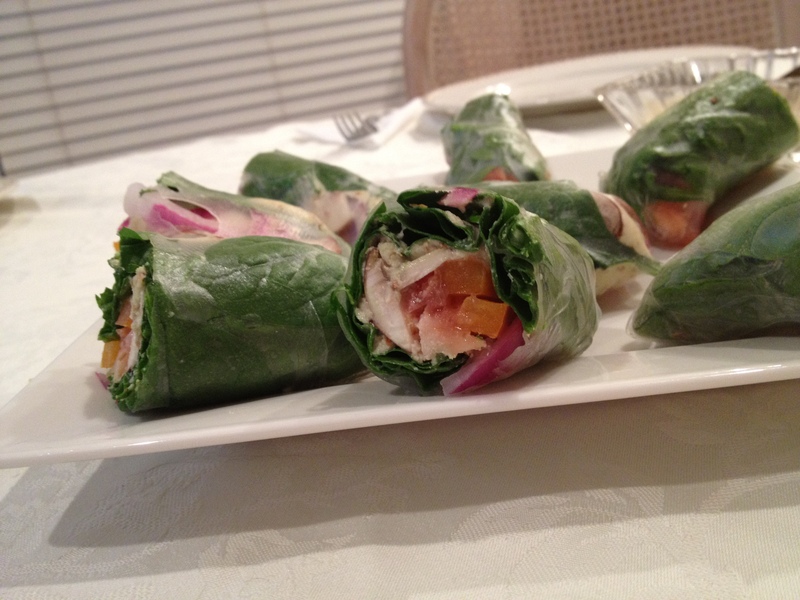 On the night I made these, I put the plate of wraps on our dinner table, walked back to the kitchen and watched out of the corner of my eye to see how my family would react to something so healthy and meat-free. They slathered on the Almond Mayo and gobbled these up. I bought the Vietnamese Rice Paper at the Beijing Mart on 163rd Street, North Miami. You just dip the paper in a bowl filled with warm water and it’s ready to fill and roll. Recipe by Everyday with Rachel Ray. Photo by PriscillaKittyCat. I love cheese, but seriously, who doesn’t? 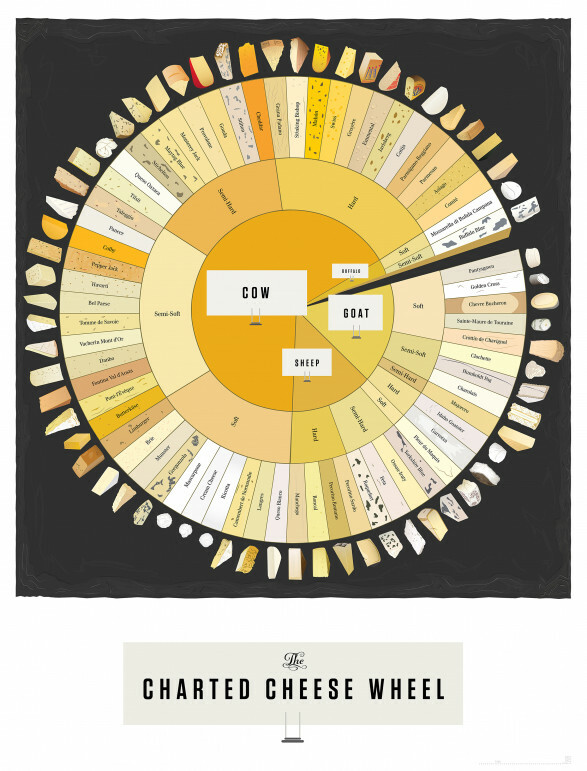 Check out this awesome cheese wheel infographic I discovered on the interwebs. It’s pretty magical and I am thinking it will look nice framed in my kitchen next to the All you need to know about beef in one infographic. 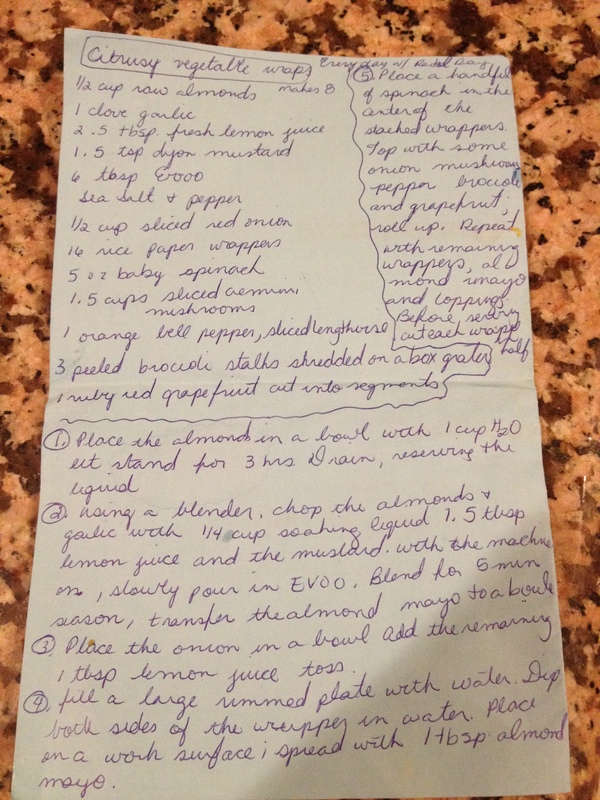 I have yet to try a Grace Parisi recipe that isn’t good. This recipe is an exception to the non-meat diet I adopted. When I make these quiches, I use a different pastry recipe. 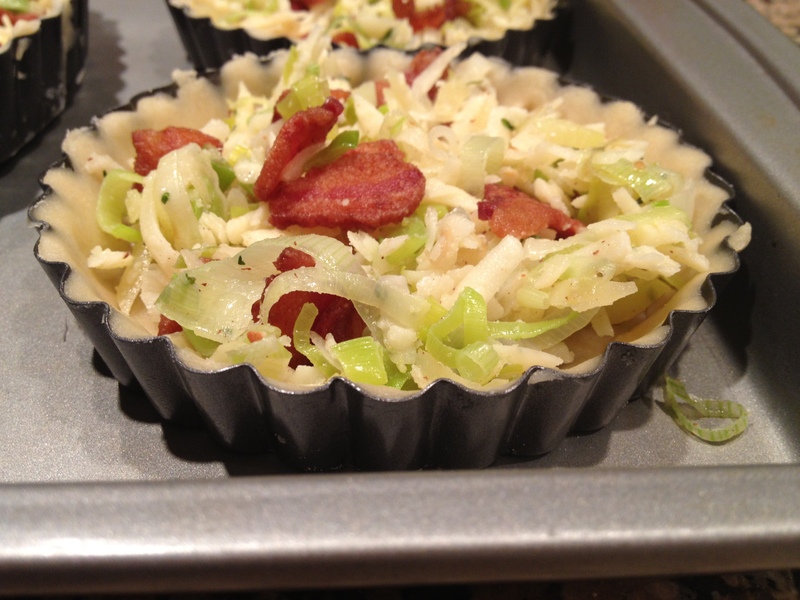 It’s much easier than baking the pastry before adding the filling and baking again. With the pastry recipe I use you can just fill the pastry and bake all at once. The filling is all Grace’s. Recipe by Grace Parisi for Food & Wine Magazine, Photo by PriscillaKittyCat.